Two Salem College students joined delegates from around the world at the Institute for Emerging Issues Forum in Raleigh, Feb. 6-7. 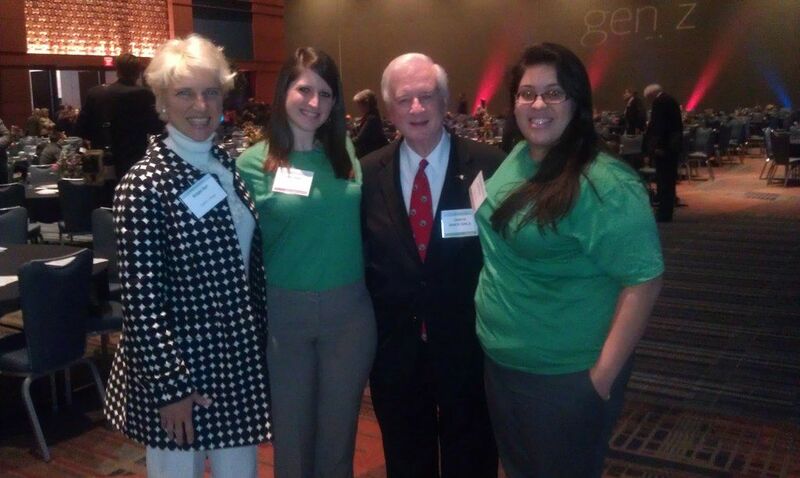 Angela Mojica and Jillian Slinger, along with dean of students Krispin Barr, represented Salem at the event. During the forum, delegates from around the world converged to discuss the future of education and the special challenges faced by “Generation Z.” Salem students, along with other student representatives, participated in this forum to explore Generation Z’s impact on our economic and workforce development, how increased connectivity raises the bar, and how we can ensure their – and North Carolina’s – overall well-being.The Institute for Emerging Issues works to help North Carolinians focus on the issues that will matter most in the long term and uncover the opportunities that will better allow the state to compete in the global economy.